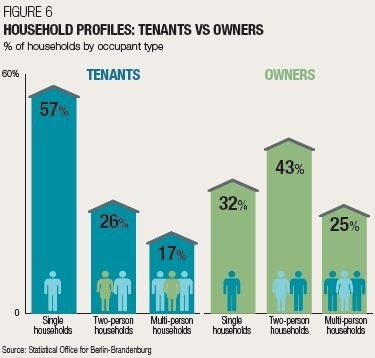 WHAT IS DRIVING BERLIN’S RESIDENTIAL MARKET? Berlin is unique, next year marks its 30th anniversary as a re-unified city and its housing stock continues to evolve. Both the prime and mainstream markets have witnessed strong price growth in the last five years due to a shortage of new supply, an expanding population, a strong economy and a robust labour market. In 2017, although 24,740 building permits were issued, only around 15,670 residential units were completed, this equates to around 1% of the total number of existing homes. 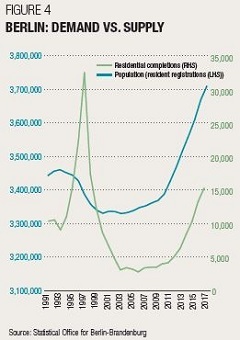 In contrast, Berlin needs to deliver 20,000 units per annum to keep pace with demand. 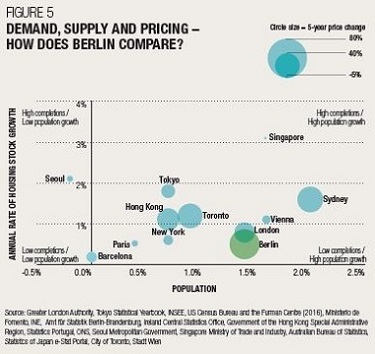 Berlin also compares favourably in price terms with other German cities and with other global markets (figure 2). An apartment in Munich can cost double that in Berlin. Add to this the city’s low home ownership rate of only 15% and its young, skilled workforce and the sums add up for investors. WHAT AREAS ARE IN DEMAND? Charlottenburg to the west of the city has long been Berlin’s prime district. It remains popular with families and young professionals. Friedrichshain, part of the up and coming area to the east of the city centre, is experiencing strong demand. Its proximity to Mediaspree, one of the biggest media and telecommunications developments in Berlin, which is now home to Mercedes-Benz, Coca Cola and Universal Music Studios, acts as a big draw for young professionals. 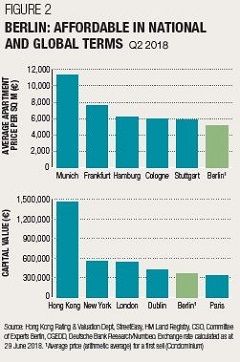 Unlike in London or New York, Berliners like to walk to their place of work. Lichtenberg and Treptow-Köpenick to the east of the city centre are seeing a number of urban renewal projects with families drawn to the green spaces and good transport links. HOW ARE PRICES AND RENTS PERFORMING? Average prices in Berlin increased by 14.9% in the year to March 2018, outperforming London but broadly in line with the rate of growth in Amsterdam and Edinburgh over the same period. According to Deutsche Bank Research, rents increased by 11% in 2017. The rent brake introduced in 2015 prohibits property owners from raising rents by more than 10% above the average for the area. However, it applies to pre-constructed buildings only and not to new-build apartments or refurbished units. Demand from tourists is also strengthening. In 2017, Berlin hosted over 31 million overnight stays, making it the third most visited European destination according to the Berlin-Brandenburg Statistics Office. Holiday rentals are currently limited to 90 nights a year in the city. Europeans remain key. Aside from German buyers we are seeing a lot of interest from the UK, the US and Swiss purchasers. Most purchase within the €300,000-€700,000 price bracket. 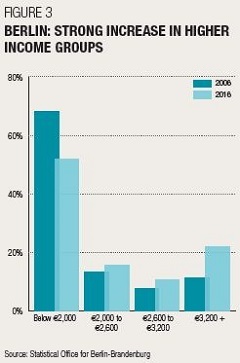 Turkish buyers have been active since 2015 along with other Middle Eastern purchasers with many putting Berlin at the top of their safe haven list. Residents and non-residents are treated identically in terms of tax and purchase costs with many international buyers drawn to the market because of its high quality of life and relatively low cost of living. WHAT IS YOUR MARKET OUTLOOK? Berlin, capital of the strongest and most stable European national economy, is unlikely to see demand weaken in the near future. Of all the German cities with a population above 1 million people, Berlin has the lowest house prices. There are of course headwinds in the form of Brexit, tighter monetary policy, affordability concerns and greater regulation, but the city’s economic forecast, low unemployment, good schools and strong wealth creation prospects act as firm foundations. Knight Frank’s Wealth Report highlights that the number of wealthy individuals in Germany with over US$5m in net assets will increase from 137,000 in 2017 to 185,500 by 2022, a rise of 35% over the five-year period. Knight Frank’s Research team take the pulse of Berlin’s residential market by handpicking the latest data, indicators and trends to help buyers and vendors gauge current market conditions. Important Notice. © Knight Frank LLP 2018 – This report is published for general information only and not to be relied upon in any way. Although high standards have been used in the preparation of the information, analysis, views and projections presented in this report, no responsibility or liability whatsoever can be accepted by Knight Frank LLP for any loss or damage resultant from any use of, reliance on or reference to the contents of this document. 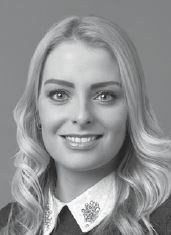 As a general report, this material does not necessarily represent the view of Knight Frank LLP in relation to particular properties or projects. Reproduction of this report in whole or in part is not allowed without prior written approval of Knight Frank LLP to the form and content within which it appears. Knight Frank LLP is a limited liability partnership registered in England with registered number OC305934. Our registered office is 55 Baker Street, London, W1U 8AN, where you may look at a list of members’ names.